#  This script was written to fill some gaps the move route commands left out. #  move_toward_event(id)      # steps toward event with that id. #  move_away_from_event(id)   # moves away from event with that id. #  end_repeat                 # and do it x number of times. #                           # type 0 is below it, type 1 is in front of it. #                           # move route is finished. #                           # specified (x's) to keep NPC's where they belong. This is just awesome! You are my hero! Thank you so much, it helps a lot! I keep getting ‘uninitialized constant Object::Game_CharacterBase’ and I’m not a Ruby programmer so I’m not sure how to fix this. Any help? I’m assuming I’m using the method incorrectly? You assume correctly. Check out the event autonomous move routes in the demo and the script instructions has examples of how to use them. Script ‘Move_Routes_Extras’ line 252: NoMethodError occurred. It looks ok to me. I even retyped it just to be sure there wasn’t some weird Copy/Paste character issue. Try starting a new game. I am guessing you loaded a save file that was saved before adding the script. Exactly correct! Thank you very much! I LOVE YOU GALV. THIS IS A CORE FEATURE! That would be great, if variable option is there. Variable (X) = number then show ballon, for example. Thanks btw Galv :) I hope u read it. Hello Mr. Galv. Your script saved all my issues. I was beginning to lose hope. Thank you so much. When I release the project I’ll make sure to mention you! Script ‘Sprite_Character’ line 190: NoMethodError occurred. Undefined method ‘x=’ for nil:NilClass. Yeah… figured that out by looking at the demo… thanks anyway. Please calm down… That is not the way to ask anyone for help. I recommend doing some research into how charactersets work. So, all the commands work as of my current knowledge, but for some reason, normal movement doesn’t work anymore. Is there any particular reason this could be happening? Where you arrive at the previous destination before following up with the next movement? Is this possible? The script doesnt seem to wait between calls, so all three process immediately and the event is routed from the initial position to the last position instead of following the route. It’s not a pathfinding command. If you use a move_toward_xy call, it only takes one step toward that location. I’ve never used the script functionality of RPG maker. I have turned on your plugin.. any ideas of what I’m forgetting? This isn’t a plugin, it’s a script from RPG Maker VX Ace. Are you looking for the MV version? used your script for set_char. 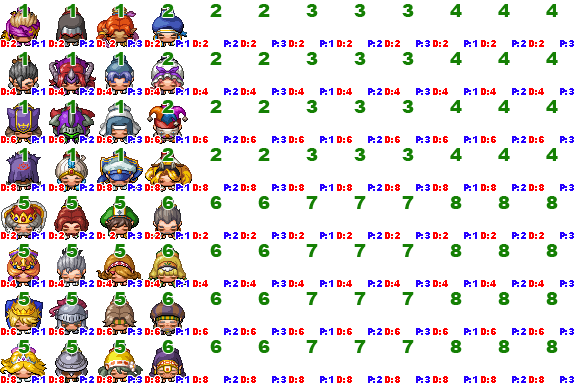 Worked like a charm…only the sprite stays for a frame or two, then switches to the next one over (for example, Using “Damage1”,5,3,4 and it switches to “Damage1”,5,2,4 after a frame or two). Is there a fix for this? I made sure to copy the code word for word…do you know what the issue could be? I am not exactly sure what you mean but it does not sound like normal behavior.